Pixel Productions Inc. is a boutique brand development agency. We are a full service agency specializing in custom eCommerce development as well as all of your print marketing needs. 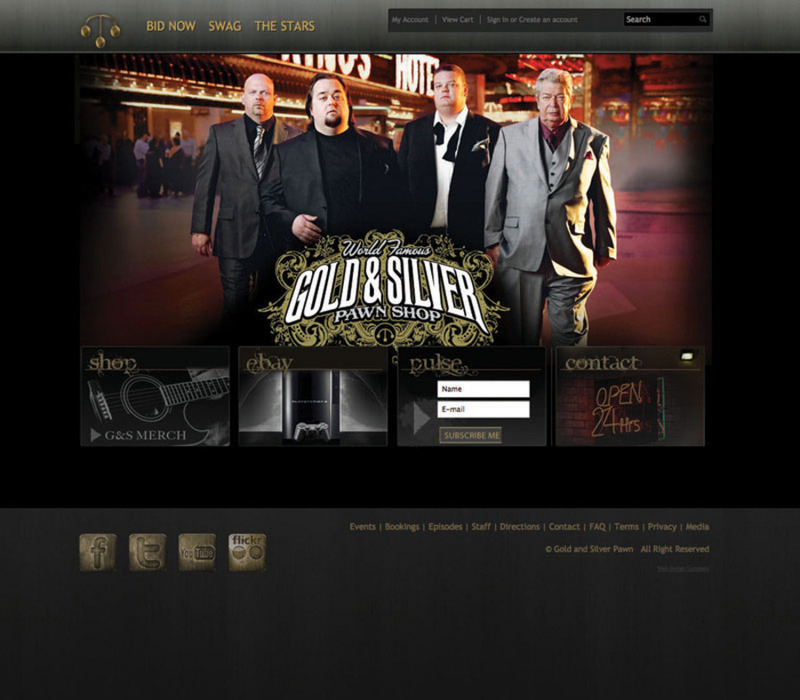 Screenshot of the History Channel's Pawn Stars Gold and Silver Promo Site - We were contracted to upgrade and tie in the Pawn Stars websites for easy content management and online sales.